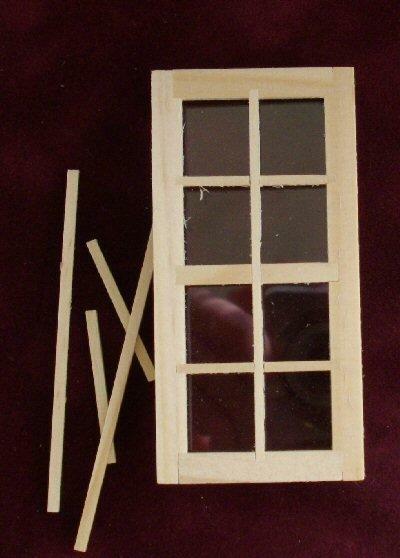 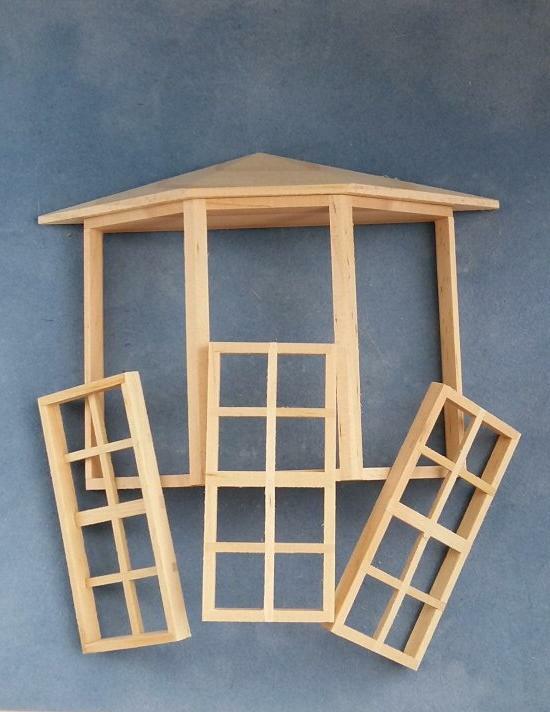 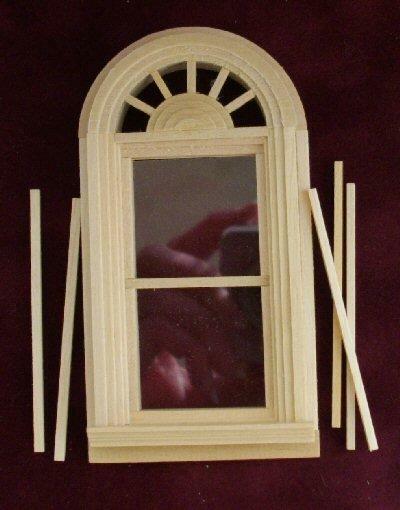 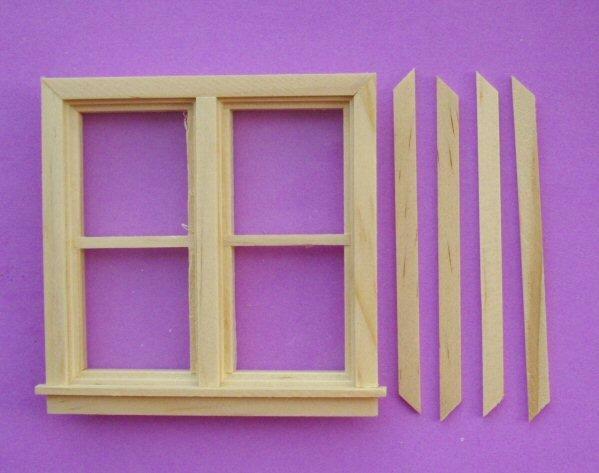 1/24th scale wooden bay window that can be used on a dolls house or shop. 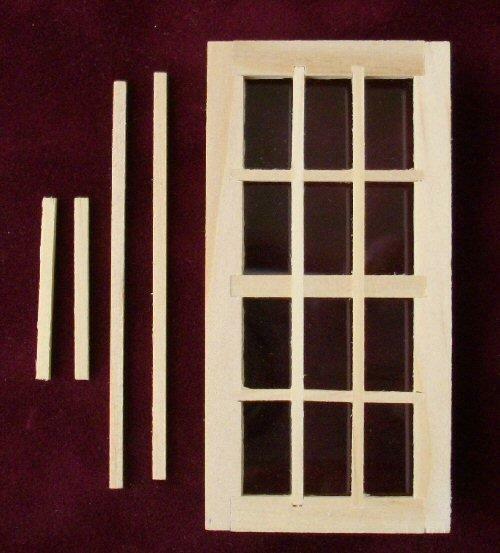 Each 8 light window section is removable for painting or can be left out for a different look. 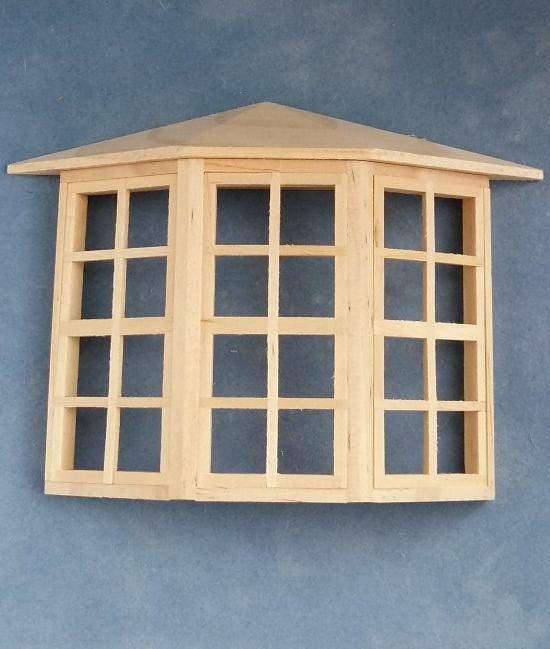 Window measures 95mm wide (120mm at base of roof) x 69mm high (86mm to top of roof) x 23mm deep.